Whether it’s your office-to-floor job that requires it, or you simply like to look nice at work (even when you have to wear safety toe shoes), we all can appreciate the style of these Florsheim Stoss ESD Steel Toe Men’s FS2620 Brown Slip On Oxfords. At first gl ... (see full details) (see specifications) #FS2620. Whether it’s your office-to-floor job that requires it, or you simply like to look nice at work (even when you have to wear safety toe shoes), we all can appreciate the style of these Florsheim Stoss ESD Steel Toe Men’s FS2620 Brown Slip On Oxfords. At first glance, you'd never believe they were steel toe work shoes, and with the new Comfort Gel 3.0 insoles and micro-suede linings, your feet will never guess it, either. So bring some style to work with these comfortable and safe men’s casual dress shoes for the office or the work floor. The steel toe safety toe caps are ASTM F2413 approved for protection against unfortunate industrial hazards, and these slip on slip-resistant shoes are static dissipating, ESD shoes. 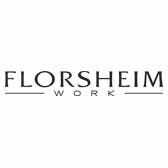 When you're a man of many talents and job site safety requires that you protect your feet, Florsheim is the company you want to offer the casual and dress shoe options you need with the safety you require. These steel toe ESD dress shoes are the perfect choice for any office manager, supervisor, foreman, shift manager, or even the regular worker who enjoys a little classy style in your day. The casual yet dressy design of the brown leather uppers will go with anything you have to wear on the job - from dress pants and tie to work jeans and work shirt. You won’t have to change your men's footwear every time you have to go from a meeting to the work floor and back, thanks to these safety toe ESD shoes. The slip on oxford style is low cut and easy to get on and off without much fuss and the slip- and oil-resistant outsoles will let you walk confidently through whatever may be on the floor. These men’s oxford brown shoes are lined with moisture-wicking nylon mesh designed to promote air flow around your feet and remove the sweat vapors before they dampen your work socks and leave your feet less comfortable throughout the day. The EVA cushion removable footbeds with Comfort Gel 3.0 heel pads are made for plenty of walking and standing on the job. The shock absorbing gel and EVA foam combination keeps you moving without pain or pressure on any surface. These incredible insoles feature micro-suede linings for smooth comfort, shock absorbing EVA cores, and zoned perforations for breathability in addition to the Comfort Gel heel pads. The polyurethane midsoles beneath these insoles offer sturdy strength to these men’s low cut safety shoes with more shock absorbing power and comfort. Offering plenty of support for your day, your feet will thank you for this investment day after day. The durable rubber outsoles are directly attached to the leather uppers for a lightweight and flexible connection. These rubber outsoles of these Florsheim shoes are tough enough for industrial environments, protecting you from slips and made to last even in rough conditions. The steel toe safety toe caps are ASTM F2413 approved for protection against unfortunate industrial hazards, and these oil-resistant Stoss shoes are static dissipating, ESD shoes. So when dressy work footwear is what you need, but safety toes are what's required, these Florsheim Stoss ESD Steel Toe Men’s FS2620 Brown Slip On Oxfords from Working Person's Store are the perfect choice for the office or the work floor. Florsheim Shoes: ESD Steel Toe Men's FS2620 Brown Slip On Stoss Oxfords is being added to your cart.